We finally went to a Whataburger on Monday afternoon. I was reminded of this tonight as my wife brought home some burgers from there again. She had been dying to have their grilled chicken sandwich and I was yearning for a plain Whataburger with jalapeños. I ruined the experience by waiting until I was extremely hungry. I missed breakfast and wound up having a really late lunch. As a result, I ate it too fast and did not savor the meal. Still, I would have other opportunities like tonight. 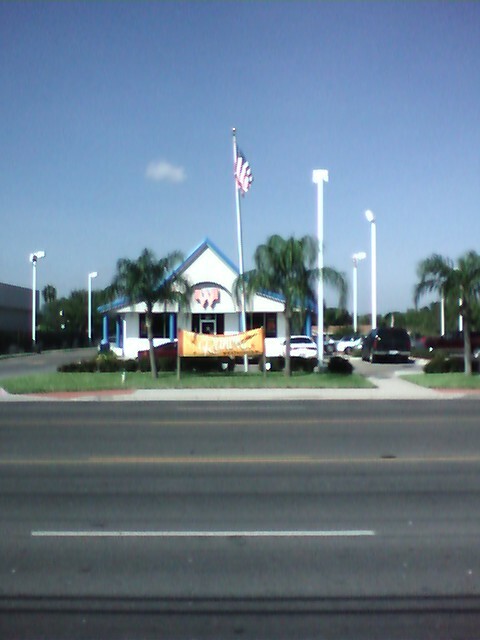 The photo seen here is the Whataburger on 495 in Mission where we ate.